Catches your eye, doesn’t it? On my latest trip to the Northern California area, I met the owner of the Oakland Brewing Company – while visiting another brewery! The craft beer community is tight, and they hang together, drink together and show up at each other’s places – so it wasn’t surprising to meet the owner of OBC at Ale Industries Brewery in Concord CA. “We were making a delivery and when Gabriel opened the truck door, the invoice flew out of the sun roof! I knew Steve (of Ale Industries) would help me make another invoice, so we came over here”…explained Greg the owner of Oakland Brewing. OBC opened in an old cotton factory in the industrial area of Oakland in 2009 and is currently still a production brewery only, with no formal tours or tasting room. 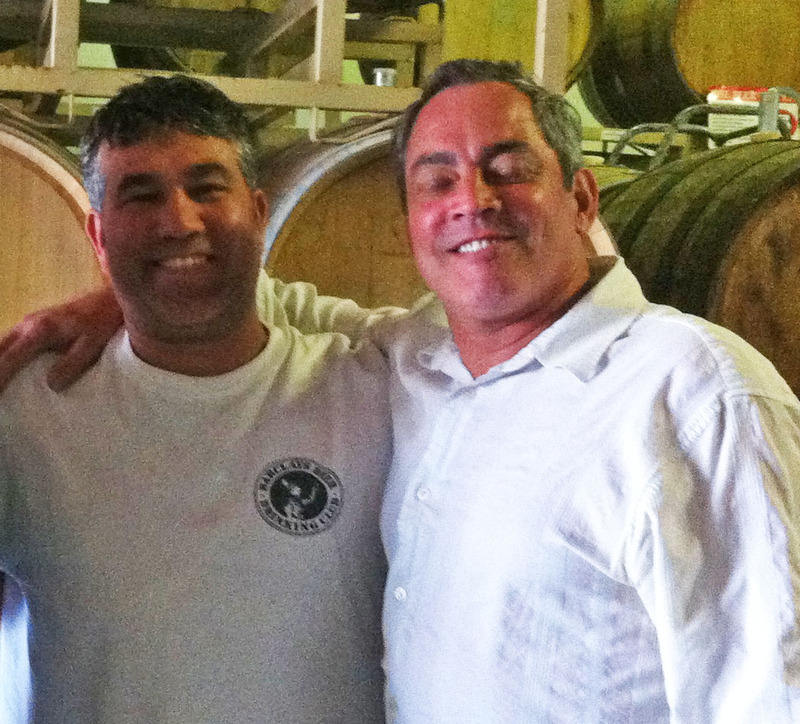 They have been growing slowly, making good craft beer for the local area, but in 2011 things changed. 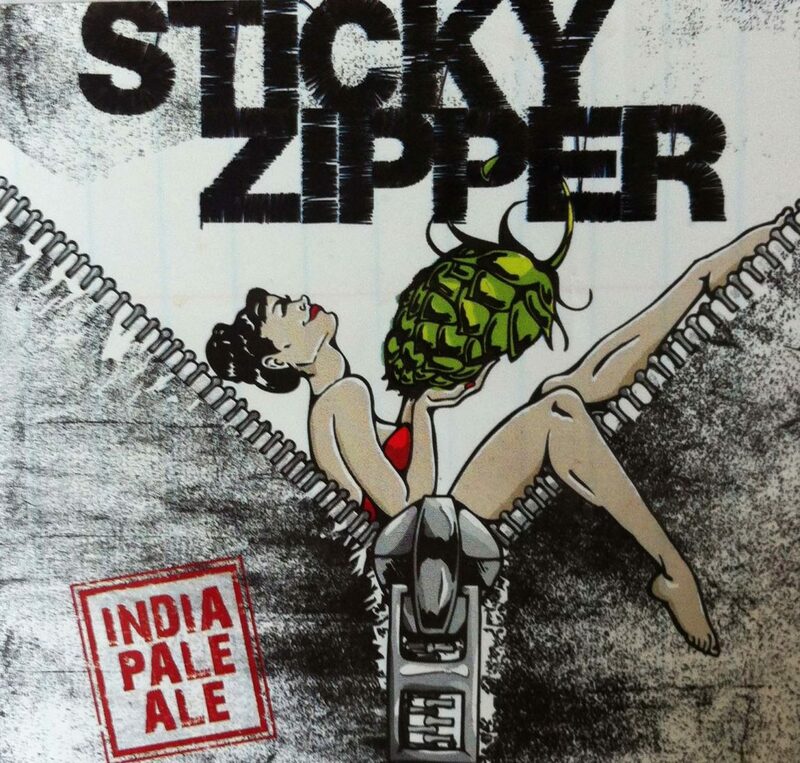 They started to bottle, and they asked a waitress at a local bar to design a label for their double IPA which they called “Sticky Zipper”. It depicts a swooning woman – sitting inside an open zipper holding up a huge hop cone… I had to admit, it caught my attention. And, it didn’t hurt that the beer inside the bottle was really tasty, too. The attention brought on by Sticky Zipper has fueled expansion including plans to add a beer garden to the factory site. 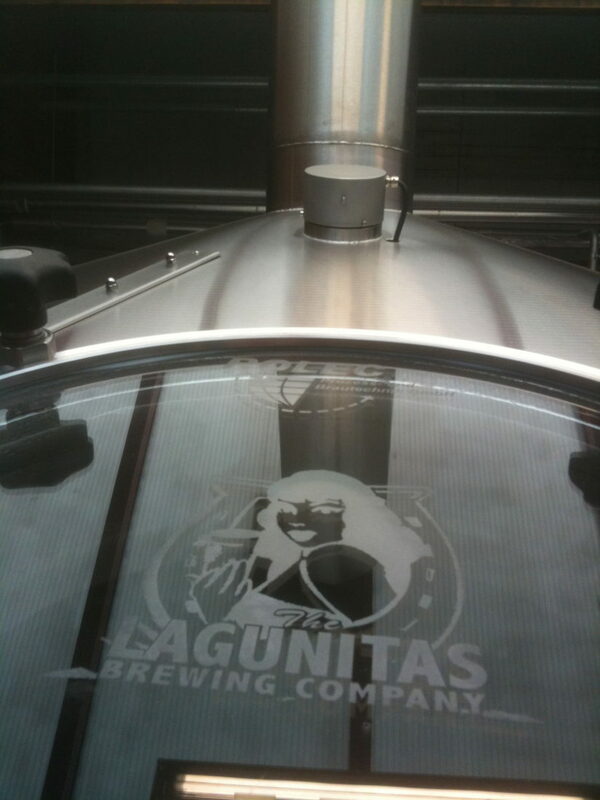 Greg and the other owners are now working on opening up distribution of their beers to other parts of the country. Apparently beer naming is something Greg likes to do at OBC. He proudly showed me a photo of the label for his oak aged ale “Huge Action” (which he claimed was the result of a misunderstanding from his attempt at naming a beer for the then Oakland Raiders coach “Hugh Jackson”). The label looked not unlike the Raider’s logo shield. I look forward to visiting Greg, Gabriel and the brewers at OBC – when the beer garden is open and the taps are flowing in Oakland.